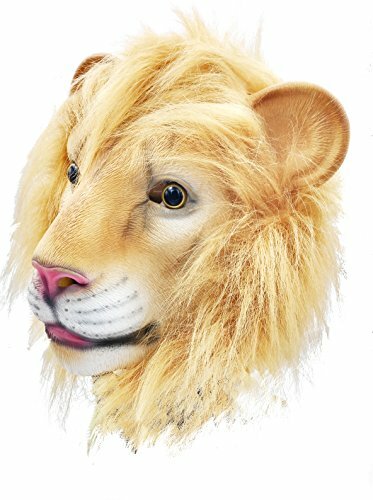 Product FeaturesName: Lion Latex MaskMaterial: high quality environmental latex.100% Brand NewSize: One size fits most teens and adultsVision: Through the mouth, nose or eyes holes. 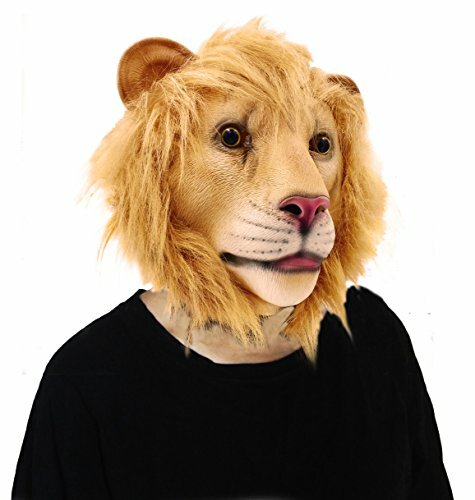 Package Included:1 pcs Lion head maskTips1. Odor: Normally have a smelling of latex, put it under ventilated place for one day, the odor will disappear.2. Please Keep away if you are allergy with latex.3. Looks extremely real! Please do not frightened the child into crying. Q&AQuestion: Does it collapse a lot?It holds its shape pretty well.Question:How will they fit in a suitcase? You can fit it into a suitcase fine it's pretty thin and you could fold it up and take little space at allQuestion:Does this fit a 11 year old ? Yes, it can fit a 11 year old child. Meanwhile, it is suitable for most adults and child.. 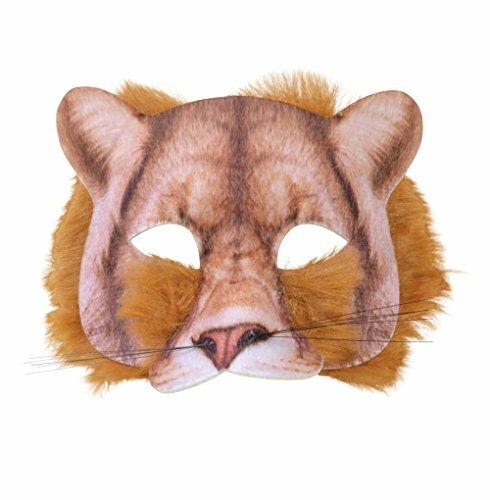 Perfect for Masquerade Parties, Gifts, Costume Parties, Carnival, Christmas, Easter, New Years Eve Party, Halloween, etc.Anyway, it will see plenty of use at times other than Halloween! 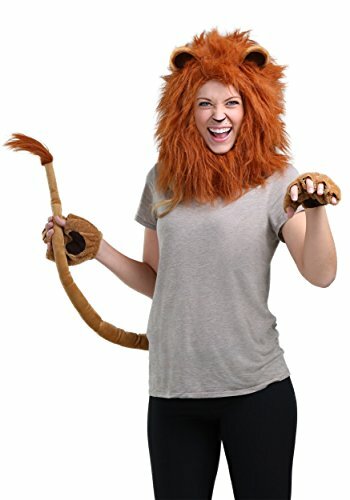 Roooarrr! 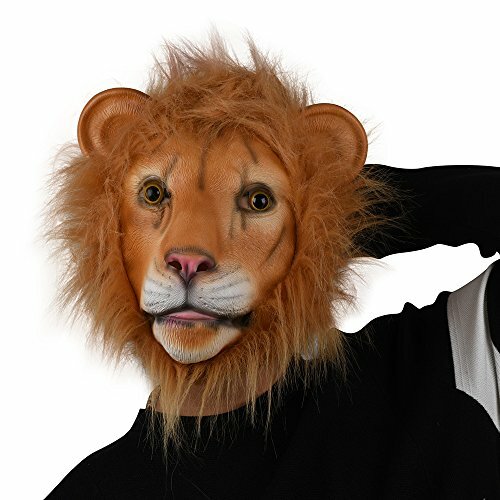 Show off your animal instincts with this beautiful adult Tiger mask. 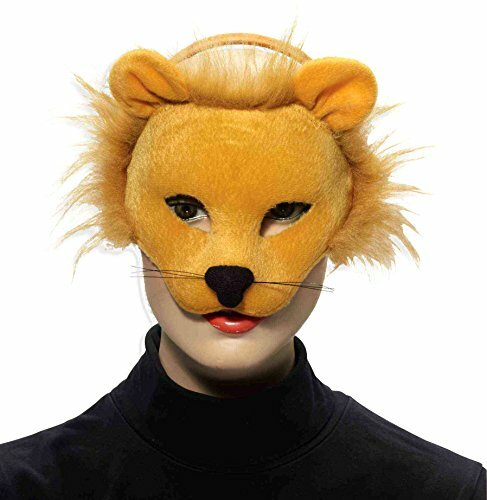 White faux fur frames The face of this richly designed mask. 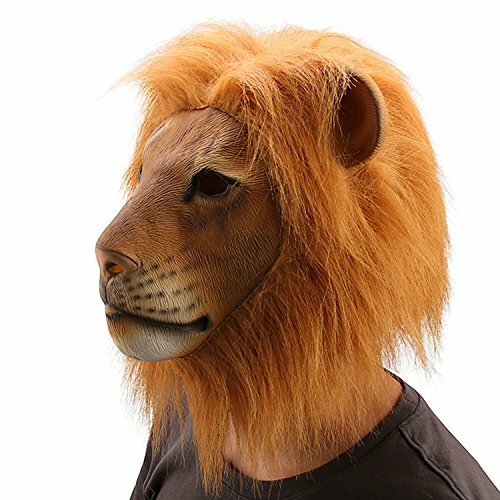 Whiskers and pert ears are realistic touches you just can't find on other masks. Open slots for your eyes allow you to have full visibility while you're trick-or-treating or dancing the night away at a costume party. 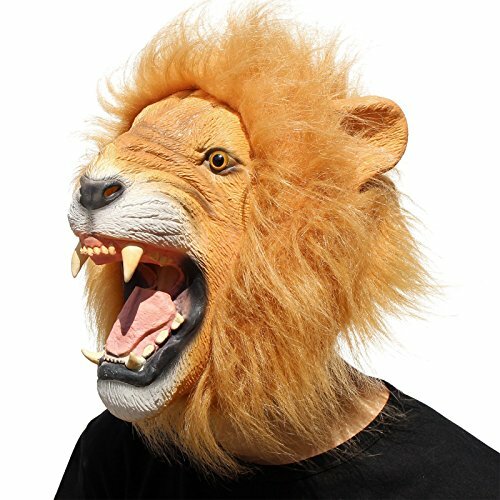 If you're just looking for something to make people laugh,do the trick,scare your pet,make a good prank on your friends,attract the gaze at the party or club,just pick up this mask,you will find more fancy use other than Halloween. Feature: Material:High quality eco-friendly latex Color: White Package Included: 1 x Latex Mask Please note： The item is normally have a smell of latex,you can put it on the Ventilation place for some time and wash it down with soap and water,the smell dissipates pretty quickly. Keep away from fire!